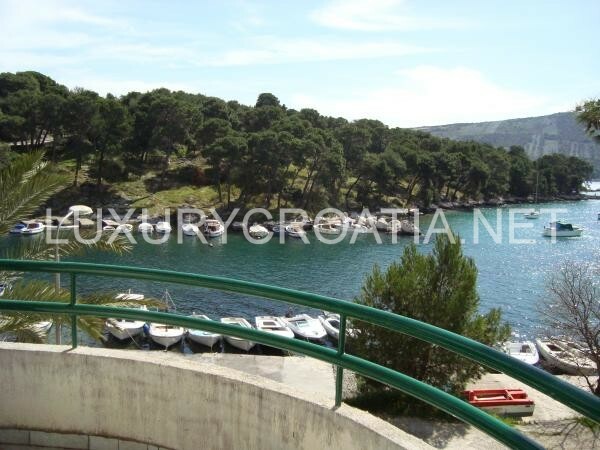 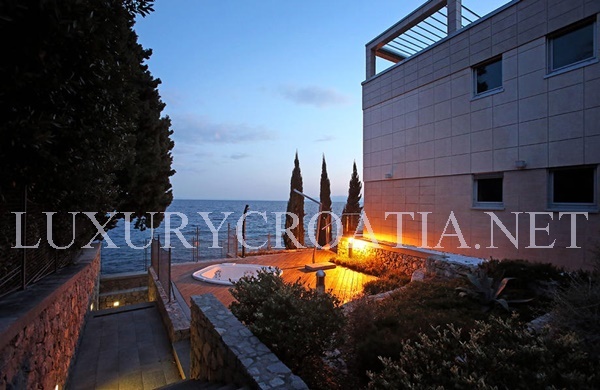 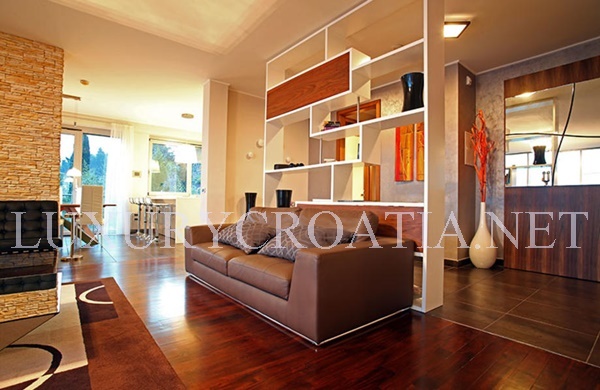 Beachfront modern villa for rent Opatija, Istria is a beautiful luxury villa located in Istria, in lush greenery directly on the seafront with the beach in front of the villa. 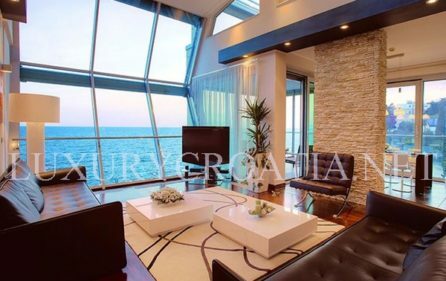 Villa capacity is 10 guests. 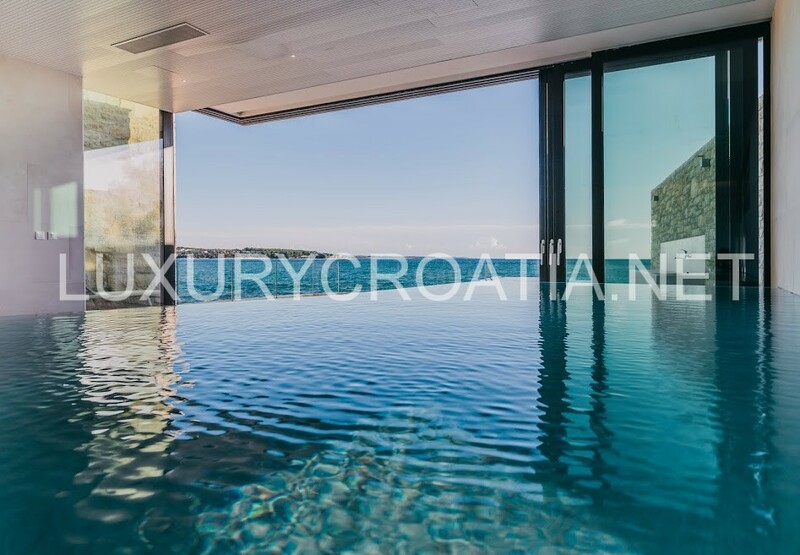 This modern luxury villa has a surface of 500m2 and consists of two luxuriously furnished three-room apartments which can be rented as a whole or separate. 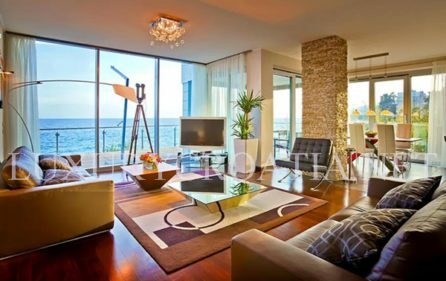 The beachfront luxury villa features from the outside feature a number of terraces for outdoor dining and sunbathing, heated swimming pool with deck and deckchairs and a jacuzzi. 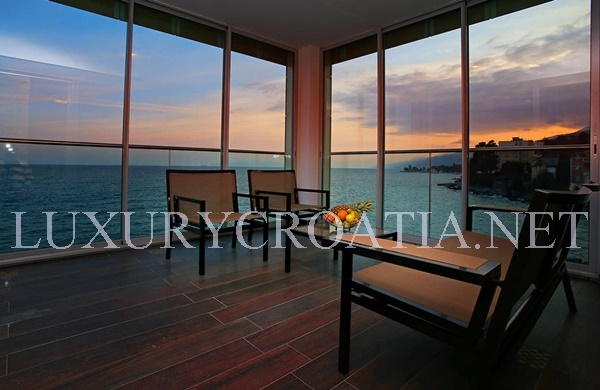 Villa offers direct access to the sea, so you can refresh yourself anywhere. Few steps away you can find a beautiful stone beach with the clear sea. 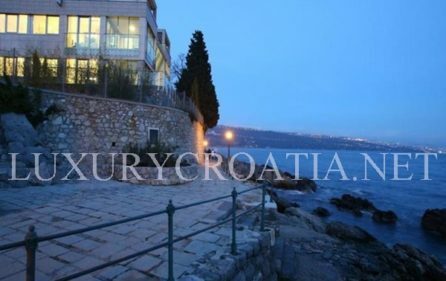 Apart from the Mediterranean cultivated garden, there is the longest promenade on the Adriatic coast just below the villa. 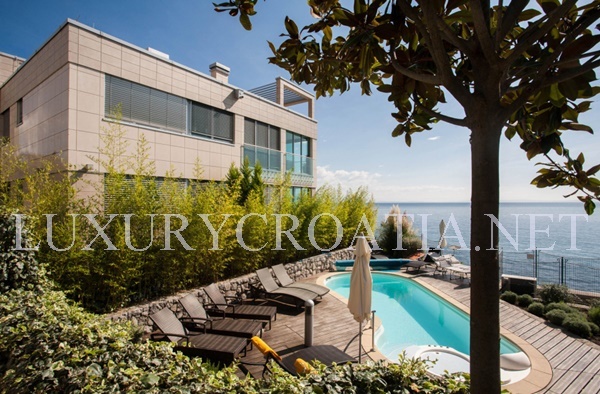 Beachfront modern villa for rent Opatija, Istria is designed from the inside according to the highest design standards what makes it truly the ideal place for the ultimate luxurious holidays directly on the seashore. 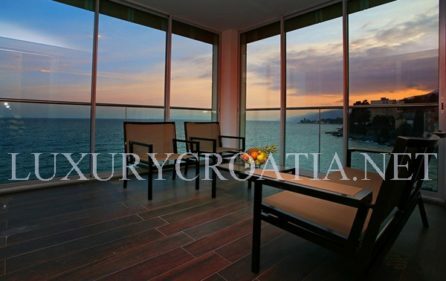 Interior is carefully chosen for your highest comfort and it is ideal for guests who seek privacy in a prestigious holiday destination. 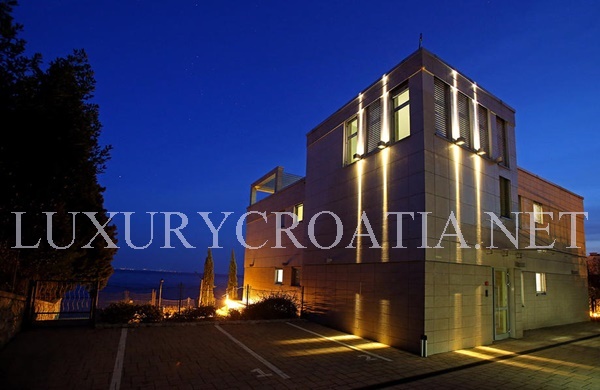 The villa offers a private car entrance, a garage, parking space, and video surveillance. 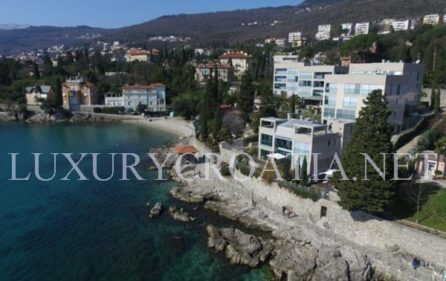 Villa has 6 bedrooms and 4 bathrooms, two dining rooms, two equipped kitchens with all the appliances (2 x mixer,2 x coffee machine, 2 x toaster, 2 x dishwasher, 2 x fridge, 2 x stove, 2 x oven, 2 x microwave).